Dec 19, 2007 | ancient, contrast, decay, flaking paint, graffiti, paint, street, textures, walls. 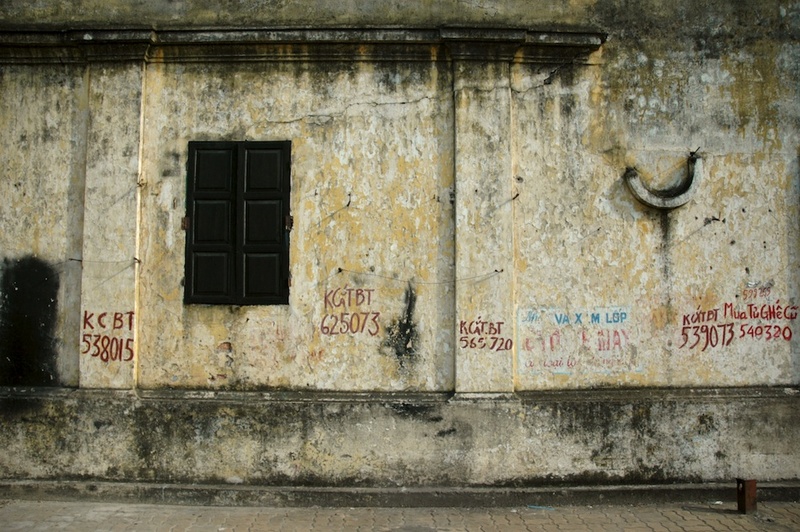 Textured stone and aged paint on the side of a street in Haiphong, Vietnam. The KCBT graffiti is from various concrete suppliers who advertise on every wall in the city.